According to the Center for Disease Control, the leading cause of death for a person over the age of one but under the age of 45 is now unintentional injury. These types of injuries, which include things like car accidents and motorcycle accidents, are now responsible for more deaths than cancer and heart disease. The bad news is that many of these accidents cannot be avoided but the good news is that many can. By understanding the types of accidents that occur and why they occur, you can take steps to avoid potentially deadly accidents. 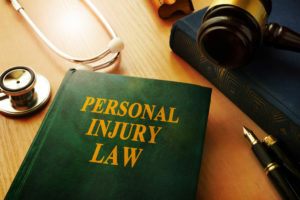 Read on to learn more about the types of accidents that are so often taking lives, then contact Law Offices of Michael A. Kahn at (310) 209-1600 to schedule a consultation with an attorney. If we are looking at unintentional injuries as the top cause of death for people aged 1-44, then we would be wise to consider the most common causes of unintentional injuries. Without a doubt, the answer is car accidents. According to the CDC’s report discussed above, there are more than two million injuries caused by car accidents each year and upwards of 32,000 deaths. Children not properly using a car seats. If you engage any of the above behaviors then it is time to think seriously about who you are putting at risk. Of course, while car accidents are easily the leading cause of unintentional injury, they are not the only cause. Other leading causes include poisoning, suffocation, accidently discharging a firearm, fires, falls, drowning, burns, bike accidents, and pedestrian accidents. Taking steps to reduce your danger when riding a bike, walking down the street, or living in your home can decrease your chances of being the victim of this type of accident. Have you lost a loved one to an unintentional injury? Just because an injury was unintentional does not mean that no one is at fault and that no one should be held accountable. In fact, the opposite is often true. A driver may not have intended to hurt anyone when they sped through a red light, but if their negligent action led to a fatal car accident then they should be held accountable. You cannot force the D.A. to file charges against a person but you can decide to file your own civil lawsuit. You cannot bring back your loved one but you can gain closure and assistance with the financial burden of your loss. Call Law Offices of Michael A. Kahn at (310) 209-1600 now to learn more about your options.